Hi Friends,Here are free top 3 colorful login form design for Photoshop user and website developer. these designs are easy to use and well layered. 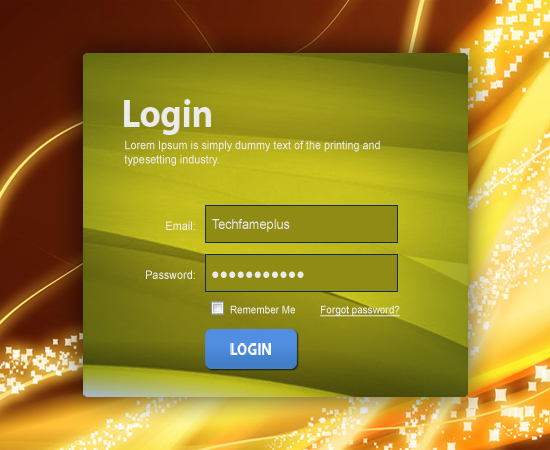 user can use this design in our portfolio and website login form. 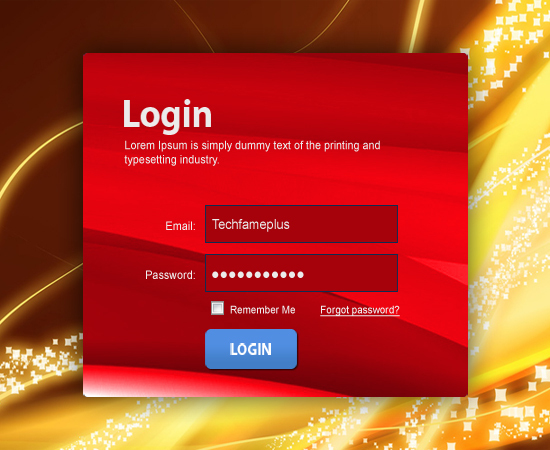 here i am update 3 designs with different different colors.user can download it just go to download link and use it..